Going digital is transformative. 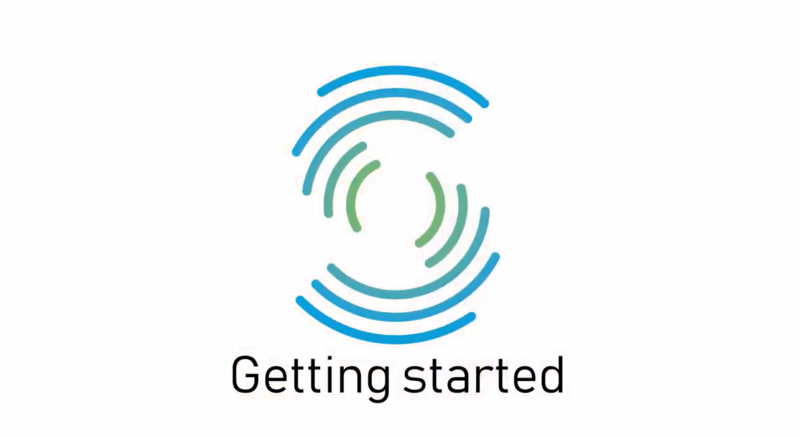 The digital development moves so fast that it can be difficult to know when to invest in a more digital workflow. 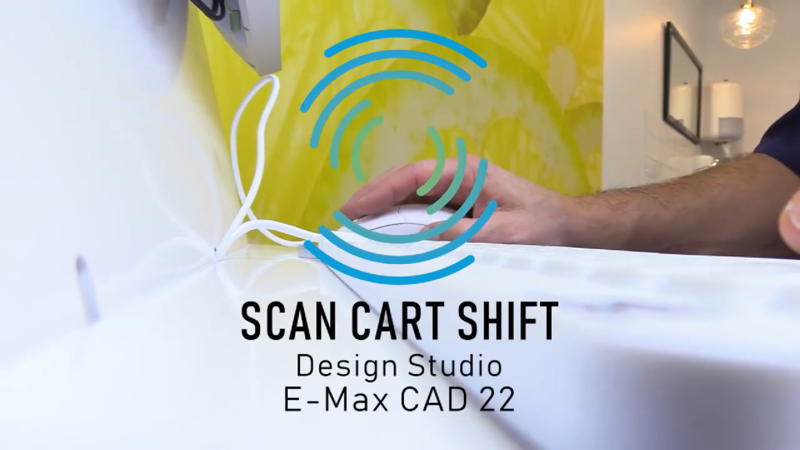 After two years of development and countless prototypes, we are proud to present a cart designed for clinics who want to move towards digital dental care! 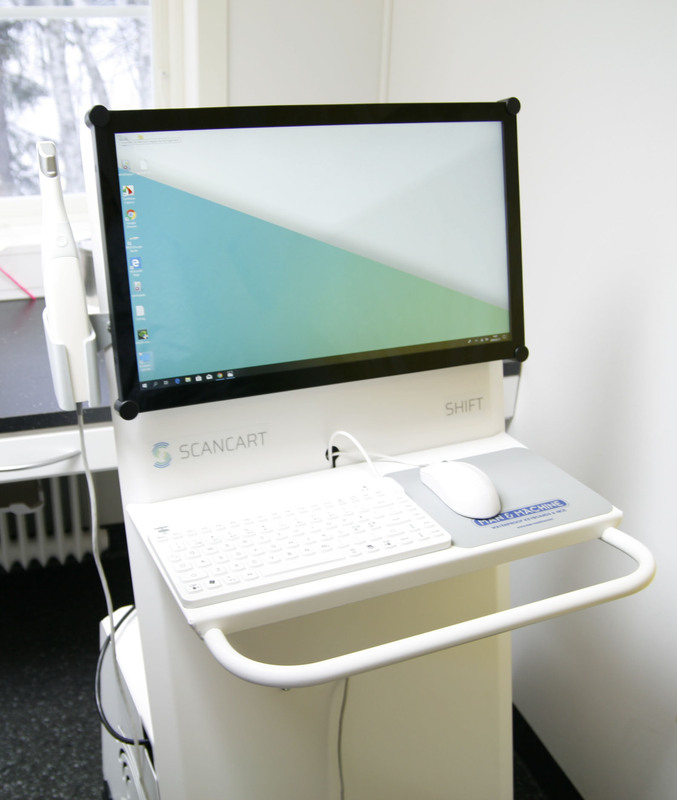 Shift, a name that emphasizes the transition from analogue to digital working method, is a cart for clinics who want to invest a solution that is as flexible as possible. 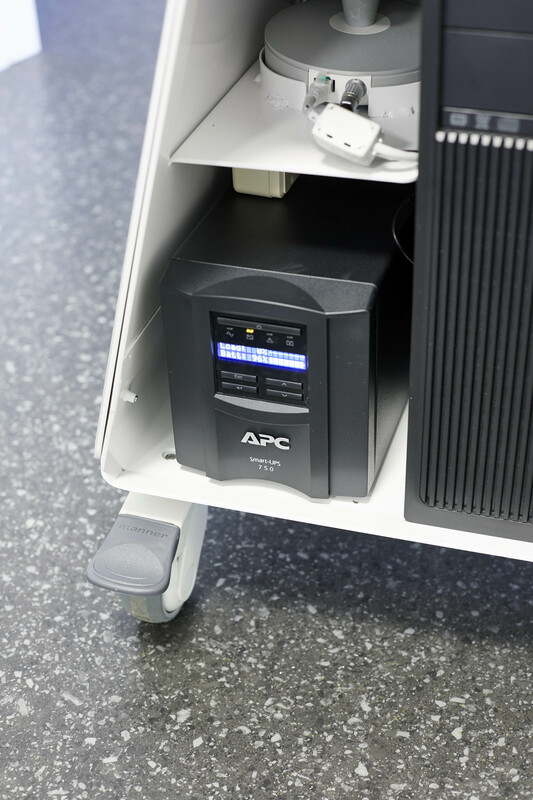 The space in the lower part of the cart makes it possible to place ordinary computer case – which means that this cart can be upgraded when the time. 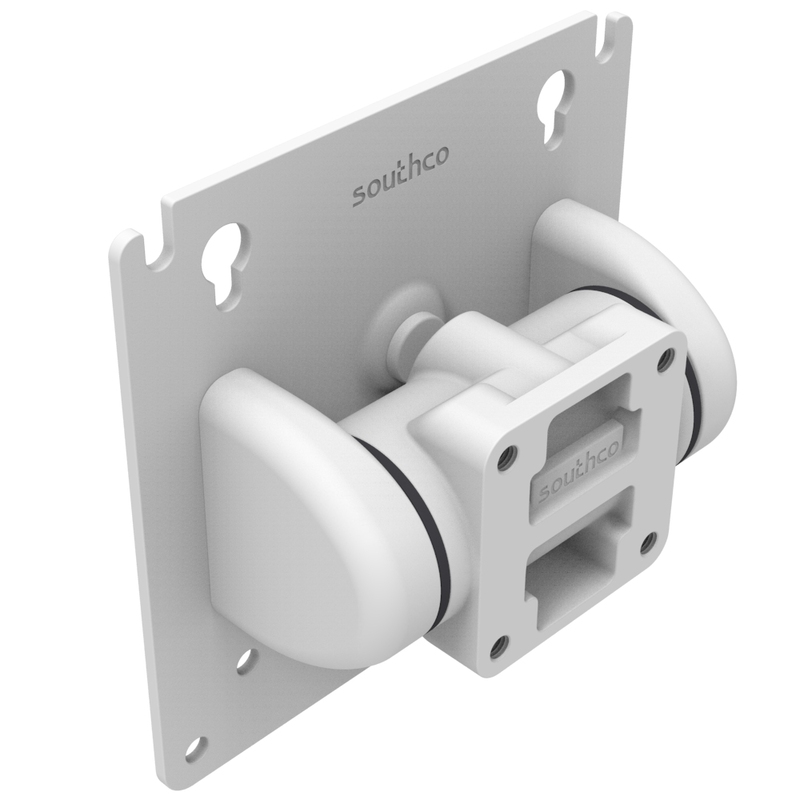 Easy-rolling wheels with two locking points, a retractable power cable with 4 sockets. Magnetic holders for scanner tips and calibration kits that can be attached to any location on the cart. 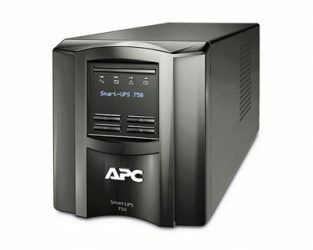 Since a normal computer needs to to be restarted when disconnecting the power, we offer a battery backup in our cart. This simplifies transport immensely but still allow use of a powerful computer. A simple tilt function that makes it possible to tilt 20 degrees, both up and down. The bracket can be inclined at different angles with minimal effort for individual positioning. We have seen that most people want their cart placed on the patient side of the room. 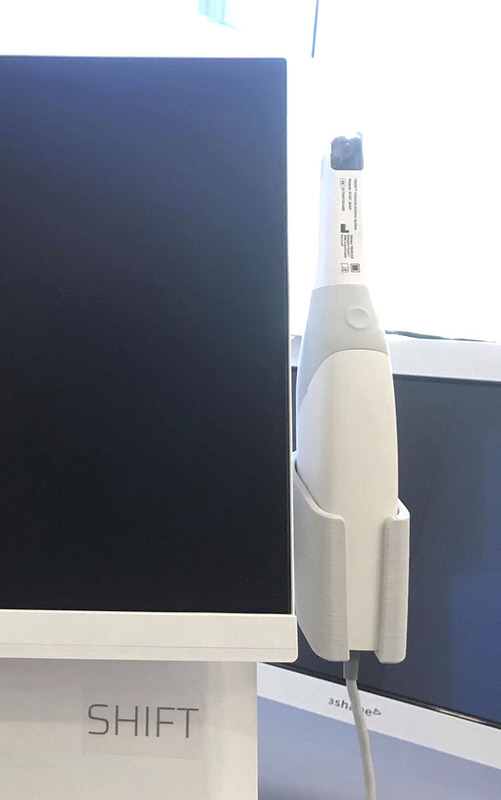 If you would rather have the cart on the dentist side, we have prepared for a mirrored scanner holder.